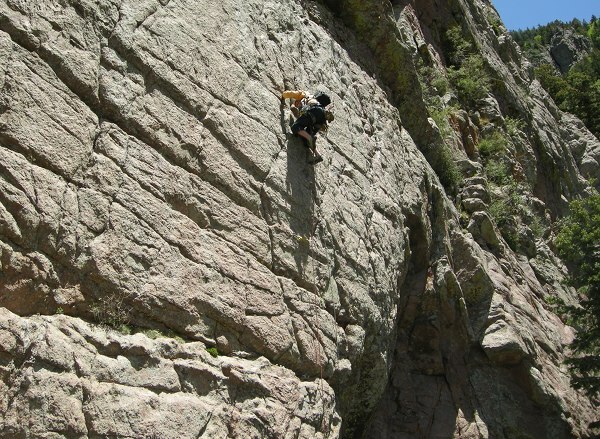 This is a stellar climb: impeccable rock in the mountains with five long pitches ranging in difficulty from 10a-11a. 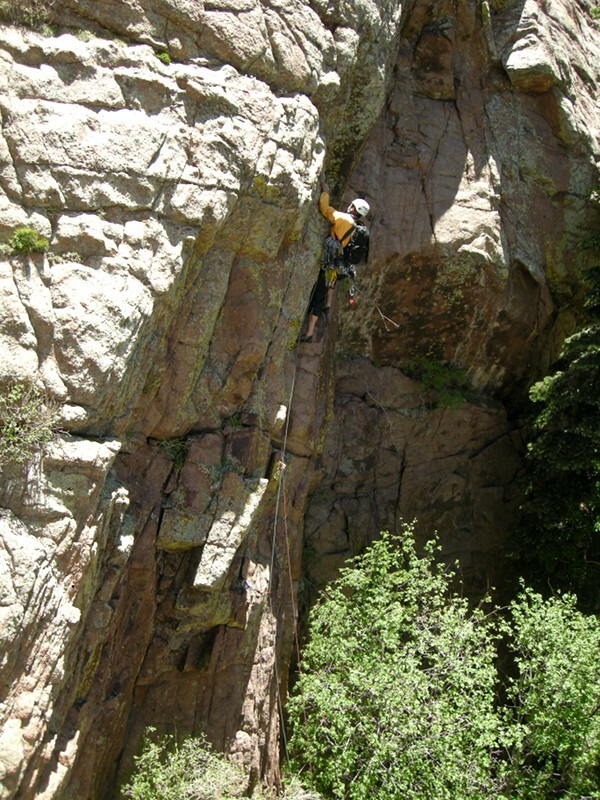 Matt "Hollywood" Baker leads the first pitch, which starts with a difficult overhanging arete. Then it moves onto a tricky steep slab. 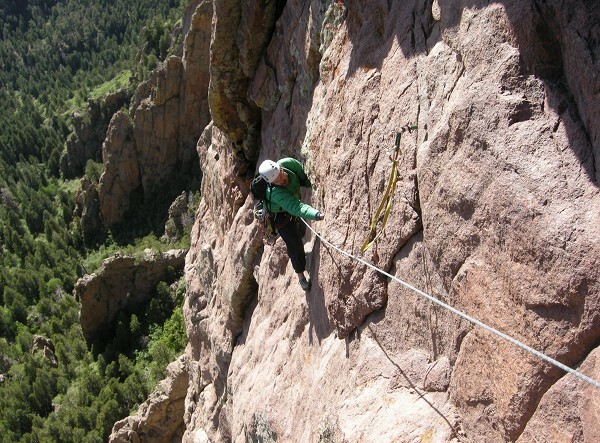 Miranda follows the second pitch while Matt signals his approval from the belay. 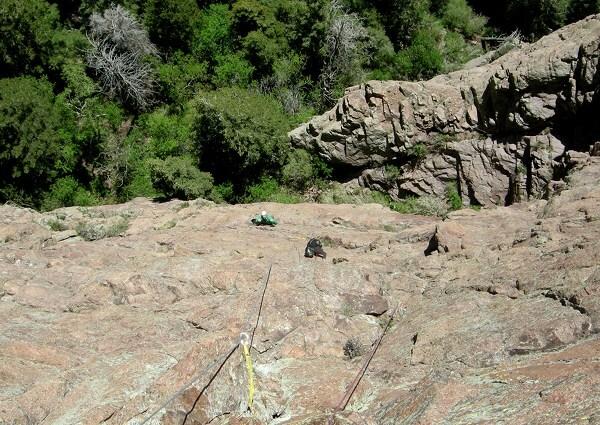 Miranda follows through a crux on the third pitch. The fourth pitch is spectacular. 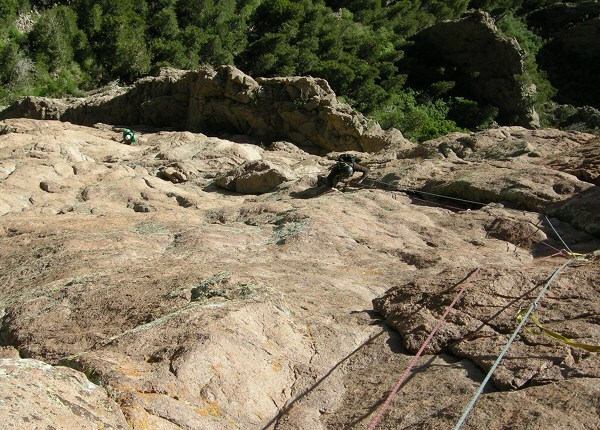 It starts with a runout traverse from the belay (where Matt is) before it follows a crack system (where Miranda is climbing). Then it ends with an interesting undercling. Sorry, no pictures of the last pitch or from Tres Piedras today, but it's all good. 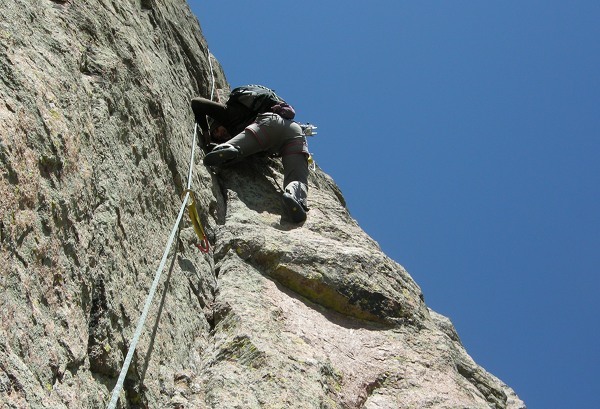 Looks like superb climbing again.